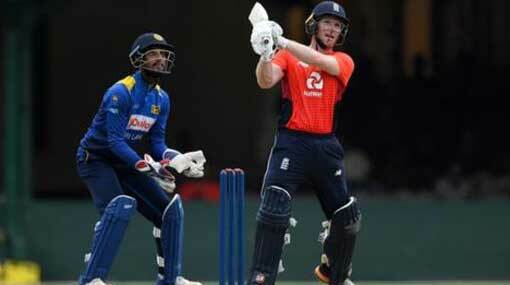 Sri Lanka’s new captain Dinesh Chandimal won the toss and put England in to bat in the first of five one-day internationals in Dambulla on Wednesday (10). Chandimal said he expected the pitch, which was under the covers for much of Tuesday, to offer seam movement for his fast bowlers early on. World No 1 England handed ODI debuts to fast bowler Olly Stone, 25, and left-arm spinner Liam Dawson, 28, leaving out both Curran brothers. Sri Lanka’s XI features left-arm wrist spinner Lakshan Sandakan, who was left out from the Asia Cup squad, and fast bowler Nuwan Pradeep, who has not played an international since January, largely owing to injury. Monsoon rains impeded Sri Lanka’s training on the day before the match, and had also washed out one of England’s warm-up games, but good weather is forecast for the game.